Well, looks like Mad Men withdrawal has set in, everyone. It’s only been a month or so and I’m having a hard time with it. From an outsider’s perspective, Sterling Cooper appears to be half circus, half perfect-place-to-work. Afternoon drinks get the creative juices flowing, people don’t hold back opinions, and everyone there is charming, in their own little way. You’d work there, right? Honestly, if I could carry Roger Sterling around in my pocket for the rest of my working life, I’d be a happy lady. There’s a lot to learn from this show, so we’ve gathered some Mad Men gifs for advice on nailing your next interview. 1. You got the call! Somebody wants you. Or at least was intrigued enough by your resume that they’d like to meet the personality that goes along with it. Keep your cool. When they ask about your availability to interview, pretend you don’t have an excessive amount of free time in your schedule. And if you actually don’t? Even better. A company wants someone who is also wanted elsewhere. 2a. On Interview Eve, get a good night’s sleep..
2b. ..followed by an excellent breakfast the next morning. People don’t realize, but getting enough sleep, especially the night before an interview is crucial. You’re sharper, quicker with answers, you don’t fumble, and you look alive. In this interview, you may only be representing yourself, but if you’re hired you’ll be representing the company, and they want someone who can take care of themselves. Maybe Don’s not the best example here. 3. Arrive within the Goldilocks window of time. Don’t arrive late, but don’t arrive too early. Five minutes is perfect. Any earlier and you’ll spend an awkward amount of time with the receptionist, not to mention you’ll rush (and annoy) your interviewer. Your pulse might be going a mile a minute, but keep that to yourself throughout the interview. Speak clearly and deliberately. Don’t eagerly throw your answer in their face, let it roll off the tip of your tongue. Gives you time to really think about what you’re saying. Notice the workspace, notice what the people wear, what they’re talking about, and what’s important to this company. Context clues. Are the walls blank or covered with posters? Do they have the latest and greatest technology? Be aware of your interviewer’s personality. Blanket advice can’t be given as far as how to interact in an interview – you have to read the signs. If the person across the table from you is very professionally dressed and speaks formally, you’re expected to do the same. If they’re a little more casual or easygoing, you can let your personality show a little bit more. Don’t push it– it’s still an interview, and it still dictates your future at the company, but it means they’re probably very interested in the type of person you are as much as the type of worker you are. 6. Show ’em what you got. And if it’s orange juggling, best of luck to you. No matter how the interview has gone up until this point, keep your confidence level high. Be proud of your work, and make sure to explain it well. If you need to meet with several people and your smile died after Person 2, keep up appearances. Be just as friendly as you were with your original interviewer. They all probably have a say in this decision, otherwise you wouldn’t be meeting with them. A solid handshake will do. A “thank you” will also do. And a follow-up email reaffirming your interest in the position will mandatorily do. 9. If it went well, postpone the Happy Dance. Not in the elevator. Not even in the parking lot. This also applies to any sort of victory phone call. You don’t know who you’re sharing an elevator with, and there’s a fine line between confidence and arrogance. 10. Don’t harumph if you don’t hear back immediately. 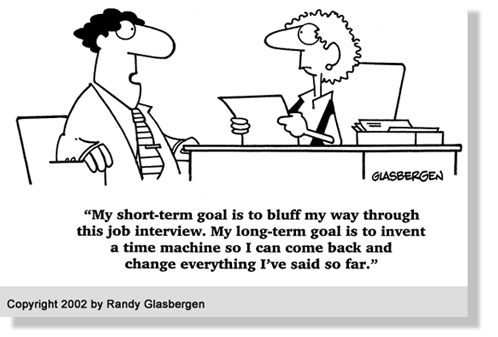 Interviewing is a long process sometimes. However, if they promised you a call “either way,” and if they didn’t follow through, you’re welcome to politely inquire. So there you have it. Surely, this doesn’t cover everything, but it’s an excellent place to start. You can survive the interview process until Mad Men’s return next year. Such a simple solution to make something positive out of something negative. 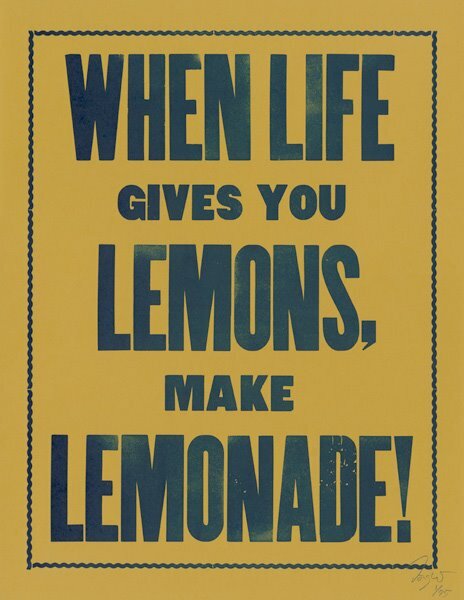 Every job seeker needs to know how to make their own lemonade when they don’t get the job. There is a plethora of advice available on how to “get the job.” But what happens when you’ve taken all the proper steps and you still don’t get the call asking you when you can start? Rejection is disappointing, but turning a negative into a positive is the best thing you can do to move forward. Express gratitude: After hearing back from the hiring manager, thank them for their consideration. Asking for feedback can help you gain insight into whether there were any particular skills or examples of work that would have had a more positive impact. Check out “How to Ask Why You Didn’t Get the Job” for advice on this tricky conversation. Don’t be defensive: It’s easy to get offended and flash your defensive side, but conducting yourself in the most professional manner possible when you don’t get the job can leave the door open and won’t damage your reputation (remember, it’s a small world). Utilize the experience and feedback: Think of rejection as a chance to improve. This is a great time to refine your resume, portfolio and job expectations. Remember, you will bounce back, and thinking of this temporary setback as a learning experience can make you a better job candidate, and ultimately, a better employee. Virgo (August 22-September 23) Virgo is an Earth sign ruled by the planet Mercury. Sometimes stubborn, Virgos are notorious for over-complicating situations and limiting their capability to move forward. Also known for analytic minds and excellent memories, Virgos are highly intelligent and precise. If you are searching for a job: You may feel doubtful and unsure if the position you’re interviewing for is a good fit for your skills and personality. Ask the interviewer as many questions as you need to in order to fully understand what the job entails. Your first interview is not the place to seem fussy and inflexible. Succinctly communicate your interest in the position and how your skills are applicable for the job. If you are hiring: After interviewing all possible candidates, put your excellent analytic skills to work evaluating each job seeker’s skills and experience. Don’t get caught up on small details. Once you make your hiring decision, act quickly to ensure that your potential new hire has not taken another position. Exude Overconfidence – Give your prospective employer a good dose of you… only to the 100th power. Be sure you talk only about yourself; don’t ask questions that relate to the position and the company. Pepper the conversation with words like “guru,” “super-creative,” and more! You’ll have them escorting you to the parking lot in no time! Be Completely Unprepared – Resume? Portfolio? Bah, who needs them? If you want to completely botch your chances of a promising future, go ahead and fill in the blanks of your resume in pen. (Bonus points if you’re in the lobby right before your interview.) Be sure to exclude any relevant and competitive skills. To really seal the deal, leave out your portfolio pieces that showcase the exact skills they were looking for. Of course, these are only a few things you can do to sabotage your chances of getting the next great gig. If you’re serious about real interview advice on landing your dream job, give CM Access a call – we’ll point you in the right direction! Creative hiring managers are using video conferencing not only for internal meetings, but also for the interview process…and it’s paying off for both companies seeking talent and job seekers. We’re offering time-strapped hiring managers and job seekers an alternative to the traditional interview. To shorten the time to hire, CM Access has embraced video conferencing to quickly bring candidates and hiring companies together. No schedules to juggle or travel expenses to incur, while the job seeker gains a job and the hiring company quickly adds a talented team member to hit the ground running. Keep it Professional – Since you’re not in an office setting, it’s easier to become slack about your level of professionalism. Keep in mind you’re not chatting with a friend. This is a job interview, so prepare as you would for any face-to-face meeting – with a sharp, polished and professional appearance and attitude. Don’t take any wardrobe risks with “business in the front, party on the bottom.” You may shift in your seat and give your potential employer a shot of your pajama pants they will likely not forget. The Setting –You’ve combed your hair and you’re dressed to impress, but does the interviewer really need to know that you’re sitting in your bedroom with laundry hanging on your treadmill? Be sure to create a professional-looking background, free of clutter and without any hidden surprises lurking or interrupting (that means no barking dogs, lingering cats or children barging into the room! Practice Makes Perfect – Even if you’re an interview pro, the camera can add to your nerves and throw you off your A-game. Enlist a friend to help you rehearse to ensure that you feel comfortable when it comes to the real interview. For the most realistic eye contact, don’t look at your screen but at the camera. Be sure you keep your movement minimal – try to avoid talking with your hands, fixing your hair or fidgeting. You can also check out a great video from Time, “How to Ace a Job Interview on Skype,” to help get you prepared for your video. Now that you have some tips to get you “ready for your close-up,” will your next interview be virtual? 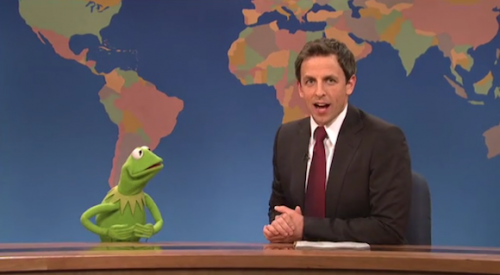 Thanks to Kermit and Seth, we now know that pizza is not a vegetable – Really!?…Really! Funny, you would think the whole “pizza-not-being-a-vegetable” discussion would be a common sense issue, but as you heard, apparently it’s not so clear cut to everyone. Since it appears common sense topics may not be as obvious to some, we’d like to review a few of the top mistakes and misconceptions that can hurt your chances for getting the interview and the job. “It doesn’t matter how I dress for an interview” – Come on, you’re not going out on a Friday night with friends or going to the gym. It’s an interview for a job, so show them you’re serious. No one will look at my Facebook page (or read my Tweets or view my YouTube videos from college) – Really? Think again. Come on folks, we’ve said it before, do we really need to say it again? If you don’t want a potential employer seeing it, then do not post it on the Internet! “I’m too busy to do any networking” – Hmmm, your current career and your future career can be greatly influenced by your ability to stay connected. Networking is not only a great way to stay in touch with colleagues and peers, but to meet new ones. It’s also a great way to share ideas and compare notes on the latest industry trends. With sites like LinkedIn, networking is at your fingertips. You’ve reviewed the resumes and portfolios, completed the phone screens, and now it’s time to start scheduling face-to-face meetings with the marketing, creative and interactive candidates you believe are qualified for the job. So how do you conduct a successful interview? Just follow the tips below on what to do, but before that, take a look at this video clip (courtesy of Miranda) of what NOT to do. You’ll thank us… The Interview from Hell. Be prepared – Review the candidate’s resume once again and keep it in front of you. Manage the time – Have an agenda and schedule for each interview. Be sure to provide them to any team members participating in the process as well. Set the tone – After introducing yourself and thanking the candidate for coming in, be sure to explain the interview process and provide a brief overview of the company and the position. Actively listen – And take good notes. Observe – In addition to listening, observe the candidate’s body language and how they present themselves. Steer clear of inappropriate questions – Be sure you understand best hiring practices and avoid questions that are inappropriate or even illegal. Sell the position – Be sure to present the position, your company and what you have to offer in a positive light. Check out this article for tips on avoiding the “open mouth, insert foot” style of interviewing. We can’t say it enough — be prepared. Being too casual in conversation, attire, and attitude is not going to impress your potential employer. Don’t go there!